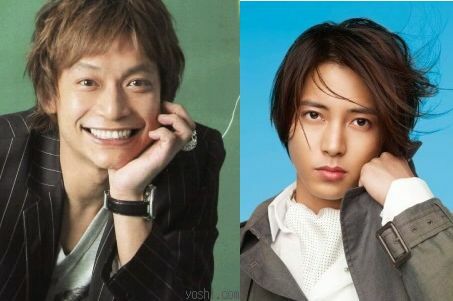 It was announced that SMAP member Katori Shingo and actor/singer Yamashita Tomohisa will be starring in the new TBS drama "MONSTERS"! �This is an exciting mystery drama which revolves around convexo-concave pair of detectives, and this will be the first time for both Katori and Yamashita to act as detectives. Katori's role will be a detective at the First Investigation Division of the�Metropolitan Police Department, named�'Hiratsuka Heihachi' who is cheap, makeshift, meticulous, and rude man, though he always puts a smile on his face and is an extremely�civil-spoken person. Hiratsuka exposes a person's hidden face and the true nature of human relations, and solves cases by brazenly getting to the core of the person. �On the other hand, Yamashita's role 'Saionji Kosuke' is a pure and honest rookie detective who is a son of noble family and filled with strong morals. �Those two will team up, and make a convexo-concave combination. For Katori and Yamashita, this will be the first time to co-star with each other. �Katori commented about co-starring with his junior from Johnny's Jimusho, "My image toward Yamapi is a quiet and earnest cool guy! I am looking forward to co-star with him. �I can't wait to clash passionately with the young 'MONSTER' (Yamashita)! ", and Yamashita showed his expectation as he said, "I would like to learn a lot from Katori-san." �Reportedly, the two are already congenial spirits though the filming has not even started yet. "MONSTERS" will start airing in October on TBS (every Sunday at 9:00 pm). F.T. ISLAND releases PV for "Top Secret"